Standard - $49.99 Only 2 left! Our office has been back and forth about whether or not you can be a superhero without a cape, seemingly since we started here. Sure, it doesn't help you fly, or give you superpowers, or even deflect bullets (unless it's made of some high tech kevlar... you're going to have to call up Batman for one of those). But, even without practical benefits, having a cape is a certainly a status symbol for the caped heroes of the world. If you're in the pro-cape camp, make sure you have this red shiny cape as a part of your heroic look. 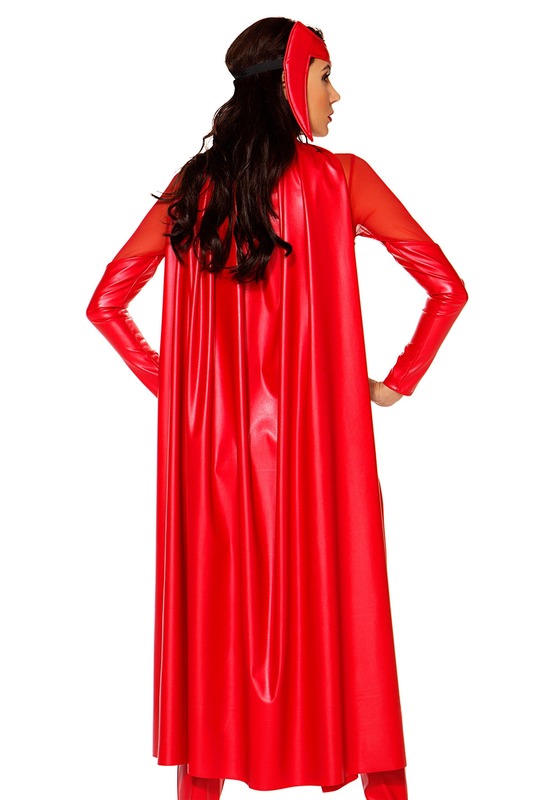 Whether you're fighting crime, interdimensional villains, or you just want to look awesome standing in a slight breeze, this cape will be the perfect complement to your costume.